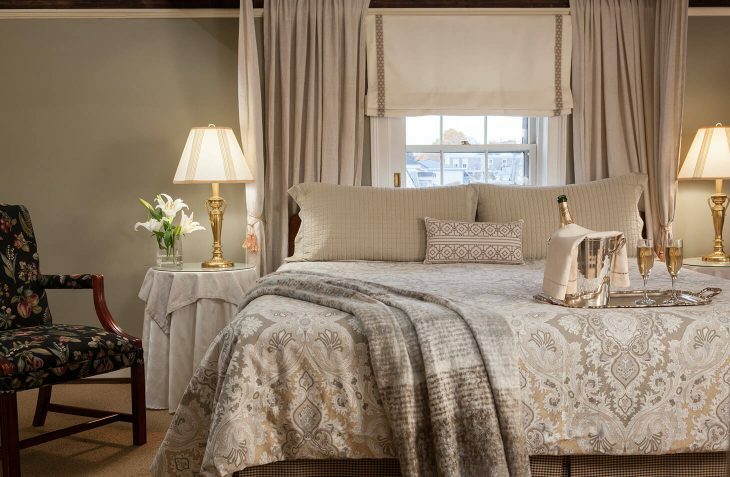 If you are looking for places to stay in Marblehead, MA, Room 32 at our romantic Marblehead hotel is the perfect solution. It is a large room on the third floor featuring a king bed and a decorative (non-functional) fireplace. 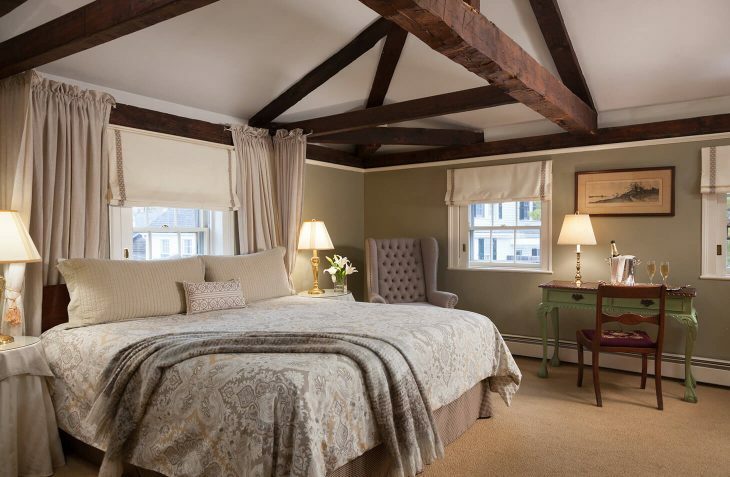 Cathedral ceilings with original exposed beams and pocket window shutters give this room a charming historic finish. There is ample seating and a desk, perfect for guests who intend to spend quality time in the room. The private bathroom has a shower/tub. Leave behind your stresses and pamper yourself with an in-room massage during your stay.